I hate eating at Italian restaurants. I cannot justify paying $10 a plate for pasta that I can make just as tastily (it’s a word…) in my own kitchen. Then, one week I got some kale in our Bountiful Basket. My choices were to find a recipe to make with it, or feed it to my husband’s classroom’s pet turtle. One of my friends suggested this soup, and boy am I glad they did! 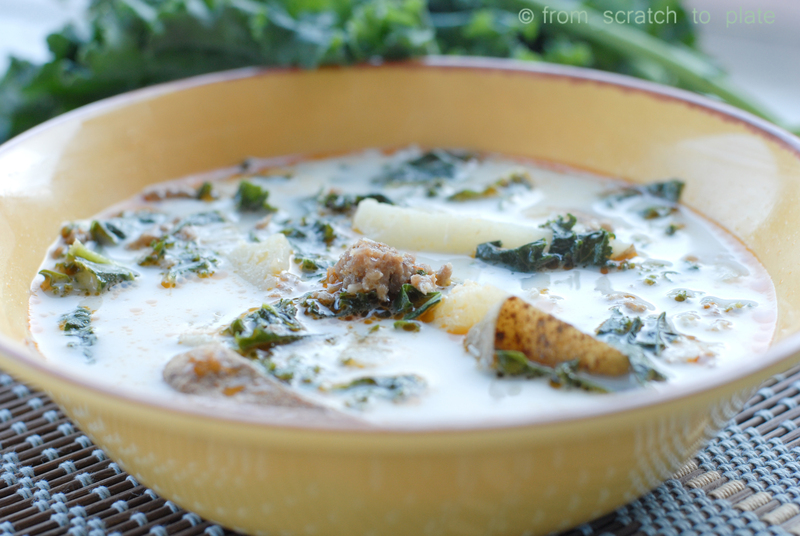 A cross between a creamy soup and a broth soup, with potatoes, sausage and kale…it’s now a family favorite. In a soup pot, place Italian sausage and diced onions. If the sausage is in links, remove the casings before putting them in the pot. Use hot Italian sausage if you like a kick. My kids prefer mild. Cook over medium heat. When the sausage is mostly cooked, add the garlic to the pan. Stir together and cook until sausage starts to brown. Remove the sausage, onion, garlic mixture to a bowl to wait. 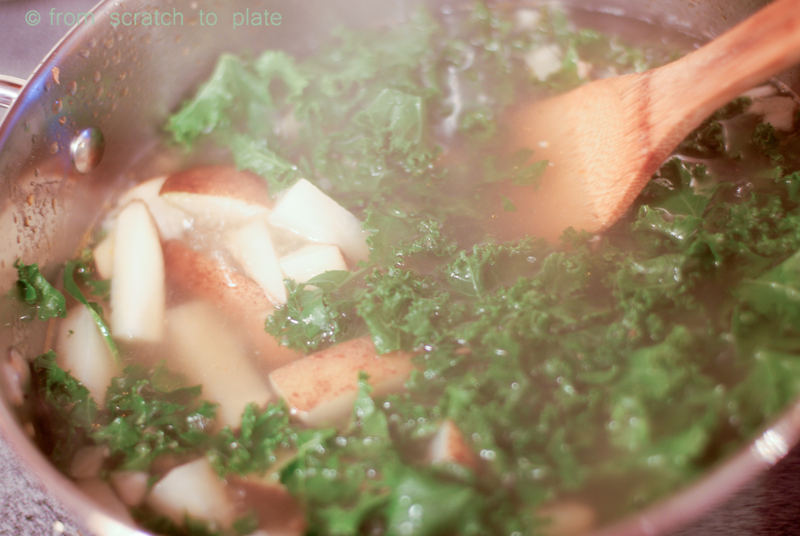 In the same pot, over medium-high heat, pour in the chicken broth. Scrape any tasty brown bits from off of the bottom of the pan. Add the water to the pot. 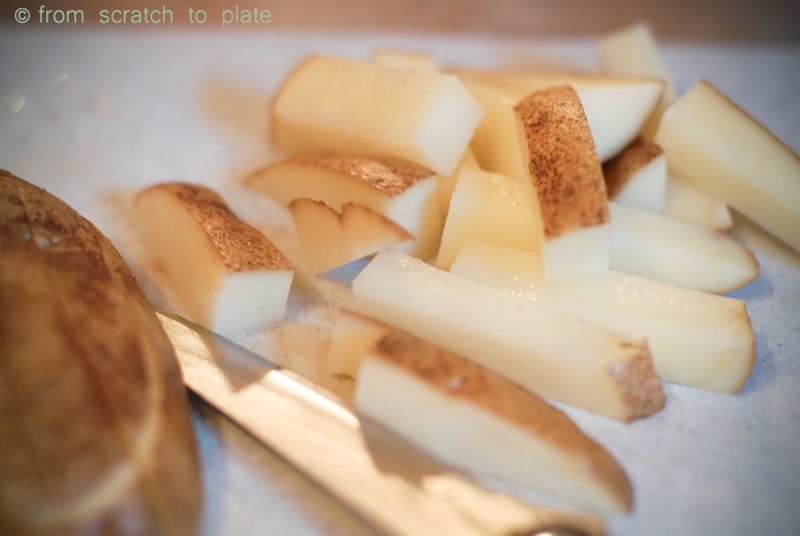 While waiting for that to boil (you can turn it to high if your pot can tolerate it), cut the potatoes into large matchstick-shaped pieces. I achieve this by cutting each potato in half lengthwise, then half again lengthwise, then turning onto the flat side, cutting lengthwise four more times, then in half. I am pretty sure only 2% of you understand what I’m talking about, so look at the picture for guidance. Place the potatoes in the pot with the broth mixture. Boil for about 10-15 minutes, until you can easily poke a potato with a fork, but they aren’t quite completely cooked. 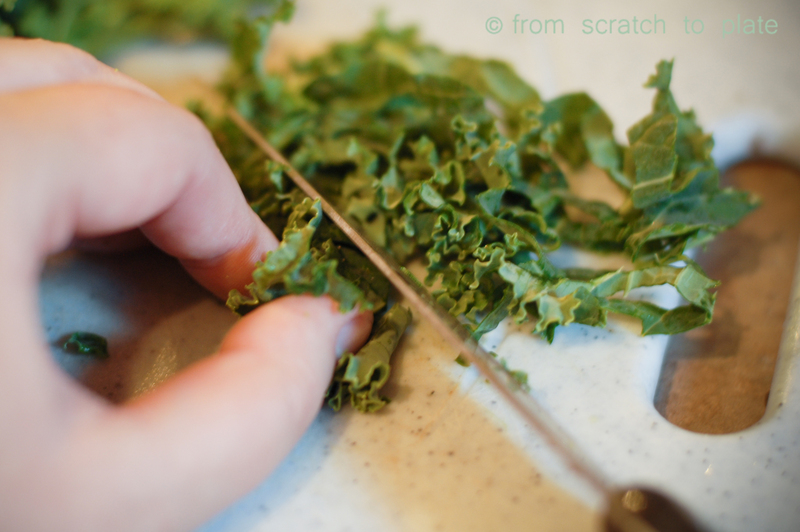 Add in the kale, which you have cut into thin ribbons (discard the thick vein), and lower heat to medium. Cook for an additional 10 minutes, until kale is tender. 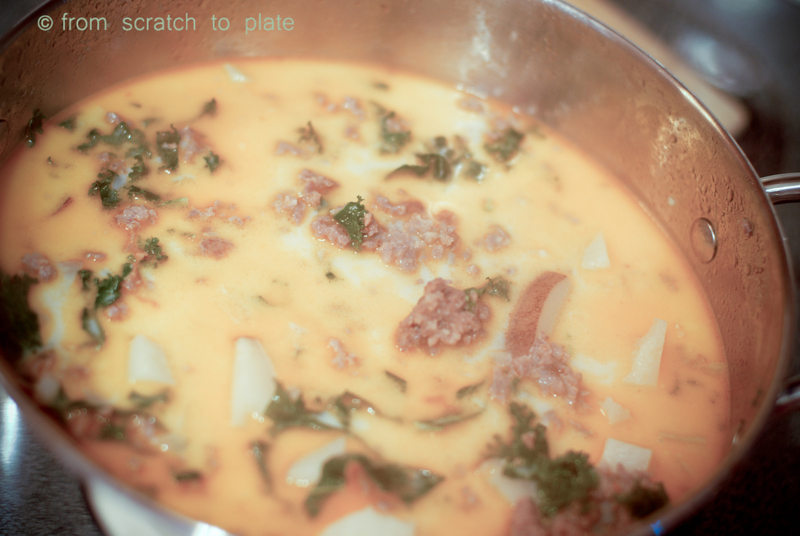 Add in your sausage mixture and heavy cream (and red pepper flakes if you need more kick). Lower heat to medium-low and simmer for an additional 5 minutes. REAL food alert: Check your sausage ingredients for MSG, BHT or BHA. 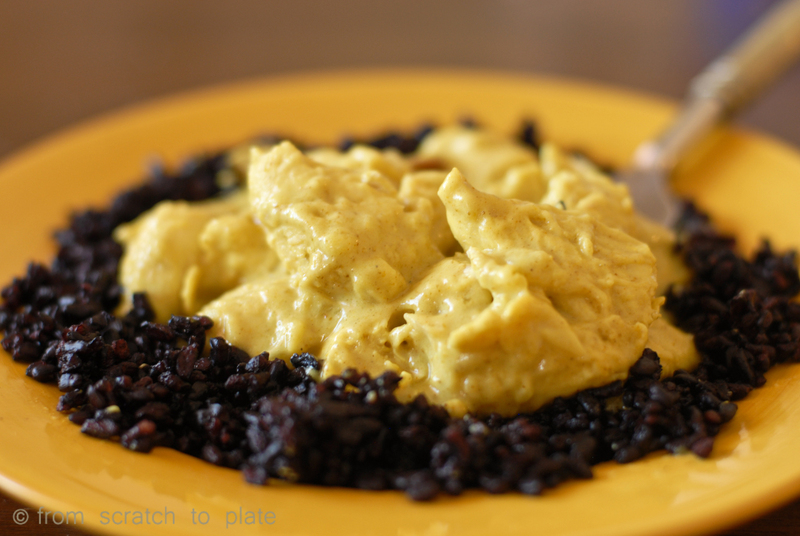 ALLERGY alert: To make this dairy-free, simply substitute the cream with an alternative milk. Coconut milk is thick and would work well, it will change the taste a bit, but give an island flair. Add some sea salt if the alternative milk makes the soup too sweet. 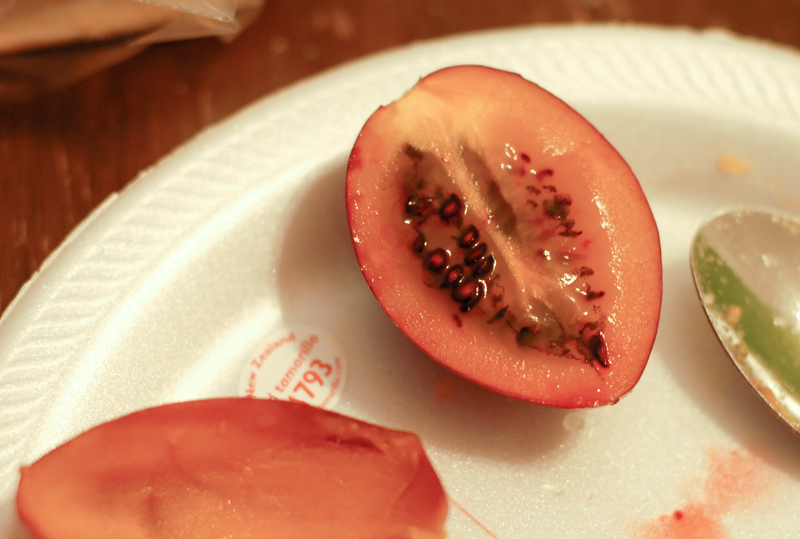 Check your broth and sausage ingredients for allergens. HEALTH alert: you can lower fat by subbing half and half or evaporated skim milk for the cream. You can also use turkey sausage.